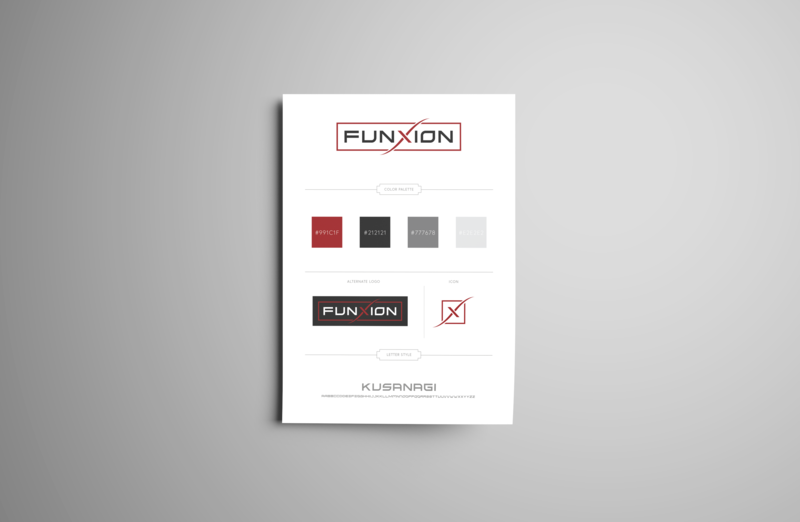 Funxion Wear startup is developing smart fabric technology. The wearable industry is taking off with so much yet to be discovered. Inventors Raj Bhakta, Dr. Hasan Shahriar and their team are ready to step into the field with their innovative new technology. Their inspiration were tech giants such as Tesla and The Boring Company. I took the simplicity, angularity, and futuristic style of those two companies brands and married it with the young startup’s dynamic nature.